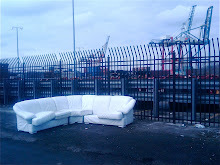 A View From The Hook: Three Upcoming RED HOOK Events from - Falconworks, Urban Divers and PortSide New York. 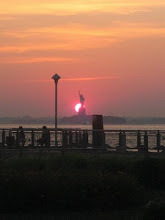 Three Upcoming RED HOOK Events from - Falconworks, Urban Divers and PortSide New York. With Spring around the corner, three Red Hook based organizations have sprung up with a number of worthy events they hope you'll support. Falconworks Artists Group, in their own words, "allows Brooklyn youth to make their own, well, anything. To finish this sentence anyway they want. To dream big. Dreams beyond situation and circumstance." You may know Falconworks for their excellent "Off The Hook" youth theater / acting / play-writing programme. They are having a fundraiser. CHECK OUT the details and buy your tickets on-line here and details about the event here. Prepare to party on Monday, March 15 That's when Falconworks invites the world to Brooklyn to celebrate past victories and raise money for future successes. The acclaimed Red Hook theater organization's Annual Benefit is a fundraiser disguised as a soiree – a chance to laugh, dance, network, and raise enough green to bolster all of our upcoming initiatives. The Urban Divers Estuary Conservancy ( UDEC), will be hosting an EARTH DAY CELEBRATION event with its ENVIROMEDIA MOBILE- the spectacular traveling NATURE and MARITIME MUSEUM on wheels at IKEA/Erie Basin Park, in Red Hook on SUNDAY APRIL 25th, 1pm- 5pm. As part of the various activities that will be offered at the event. There will also be a RECYCLING program. Bring your OLD JUNK ELECTRONICS ( Carry-by-hand), your OLD READY TO THROW AWAY SNEAKERS for RECYCLING. You can check out more information and a complete rundown of the Urban Divers' spring events schedule here. More Earth Day Celebrations....preceding Earth Day, on Sunday April 18th, 11am-3pm - "The Urban Divers Estuary Conservancy returns with its tradition for the 11th consecutive Annual Gowanus Canal Earth Day Flotilla Spring Clean-up. This event will be quite special as it will also commemorate the celebration of EPA's Official nomination of the Gowanus Canal as a SUPERFUND SITE... Hallelujah!.. Hallelujah!... a beginning to real environmental quality, protection of public health and property. The Urban Divers will host an environmental education ecocruise aboard it unique 32ft indian shipping canoe that accommodates 21 paddlers at a time." 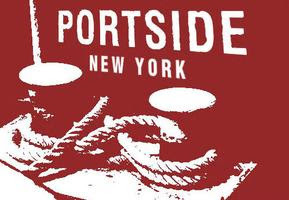 3) PortSide New York announces free community sails in the Spring. She is a 158' long topsail schooner. Rafted alongside her, with masts down, is the Shearwater, a 82-foot 1920's luxury schooner yacht. Both have a winter berth on Pier 11, Atlantic Basin thanks to outreach by PortSide NewYork. As part of the deal, they will offer some free community sails next spring once the vessels begin operating again. I don't have the details about the free sails yet, but keep an eye on PortSide's website, here, for updates.